Mastering our personal finances is not easy – especially without money management knowledge and skills. The problem with bad money habits is that they are easy to make, but harder to break. 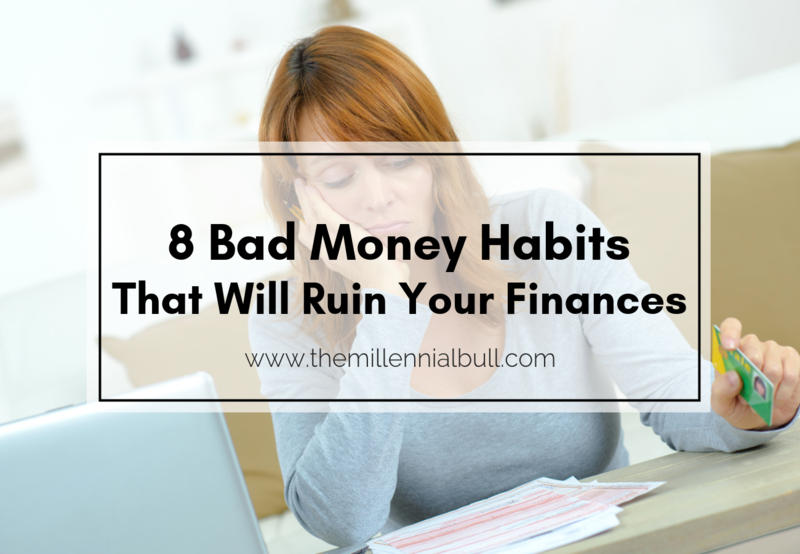 We often don’t realize just how bad our habits are until an unfortunate financial situation slaps us so hard across the face that we land in a sticky pile of reality. I will be the first to admit that I haven’t always been good with money. I had a tendency to spend beyond my means, to use my credit card and realize the repercussions later, to be overly generous with money that I probably shouldn’t have been spending, and to not save enough. Admittedly, I am not proud of these bad money habits, but I am grateful to have at least become aware of them. If I hadn’t realized the mistakes I was making with my personal finances, I’d be in pretty deep trouble today. I am embarrassed to say that it wasn’t until Sam and I had an investment deal go wrong that I took a step back and realized that I was practically sabotaging myself with my poor personal finance decisions. If I didn’t change my ways, I wouldn’t be able to help get us out of the deep financial hole that we were in, I would just be making it worse. 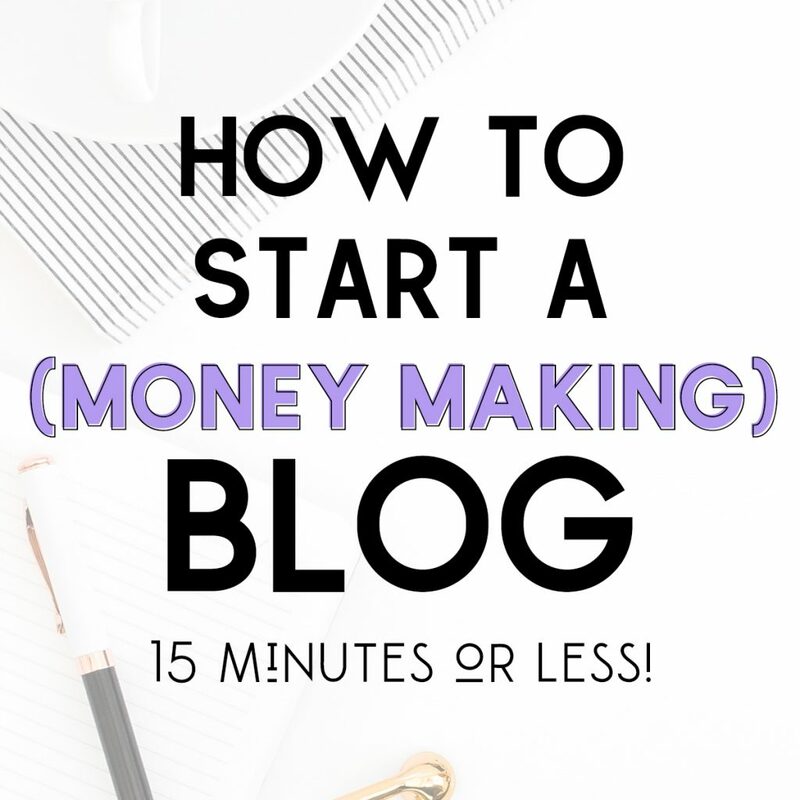 This post may contain affiliate links, which means we may receive a small commission, at no cost to you, if you make a purchase through a link. For more information, please see our disclosure. If you want to take control of your personal finances and actually achieve wealth, you have to start with square one: your habits. If you don’t address your bad money habits, you will never be financially free, you will never build your wealth, and you will constantly be cleaning up a trail of debt. The bright side is that once you break one bad habit and gain some momentum, you should experience a ripple effect and break the next one, and then the next. Money management is the only way to be financially free. If you don’t know how much you are spending each month and on what, how are you supposed to map out your future finances? Creating and following a budget is the ideal way to begin breaking your poor spending habits. 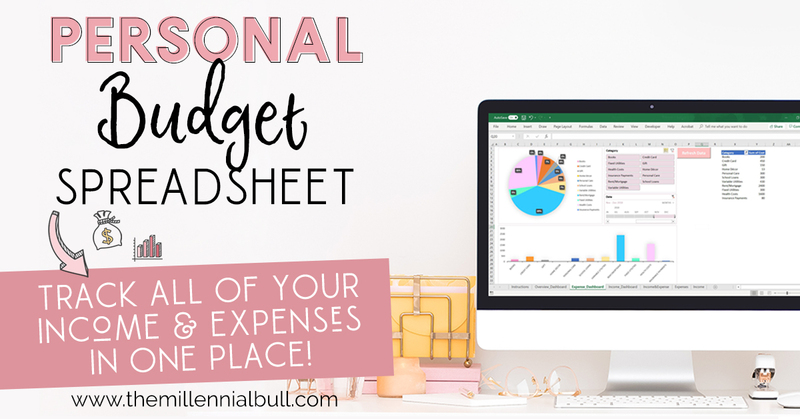 The purpose of a budget is to set a predefined spending cap on various expense categories, based on your income, so you don’t live beyond your means, and so you have a strong understanding of where your money is going. If you are spending at will and have no idea… not even an inkling of how much you spend on food, entertainment, utilities, etc. each week or month (how much of your paycheck goes to X, Y or Z), you need to listen up. This is your reality check now. Be aware of your spending. 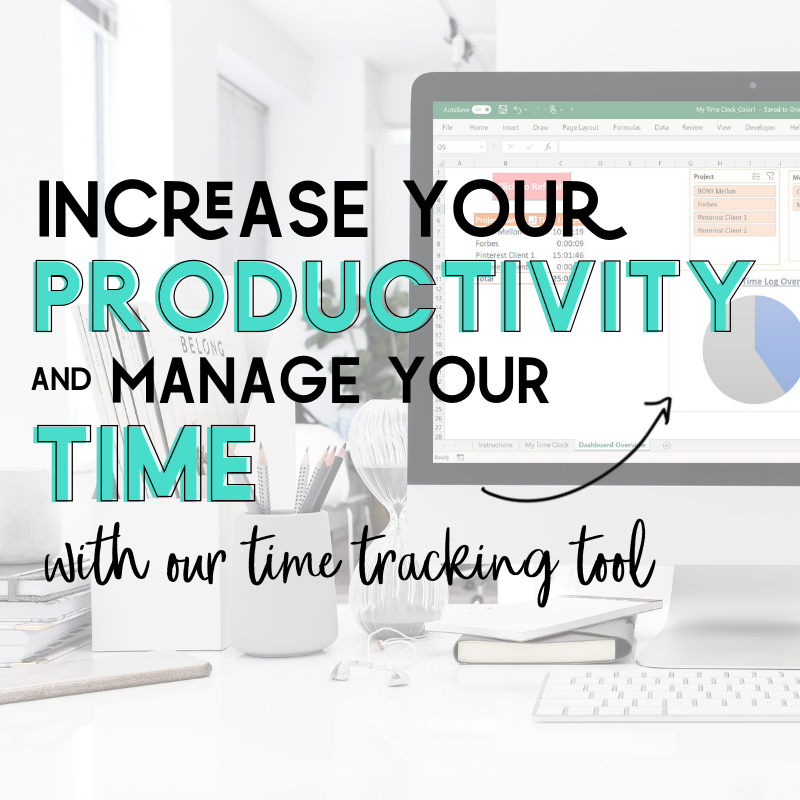 Stop spending willy-nilly without planning or budgeting. This is especially an issue for those that believe they are making really good money today. When the dough is rolling in, this is when we are the worst at budgeting. We think that money will always keep coming in so we don’t need to penny pinch and create a large emergency fund. We feel that we can afford anything. That we don’t even need to think twice before buying that new iPhone even though our current iPhone is only 6 months old. WRONG! Now is when you should be stashing away as much as you can. Once you have a nice large buffer in the bank, you can then afford to spend less judiciously. You never know when your gravy train may take a turn for the worst. So, as a precaution, always be prepared. Always follow a budget. This is something we have been doing for some time now. 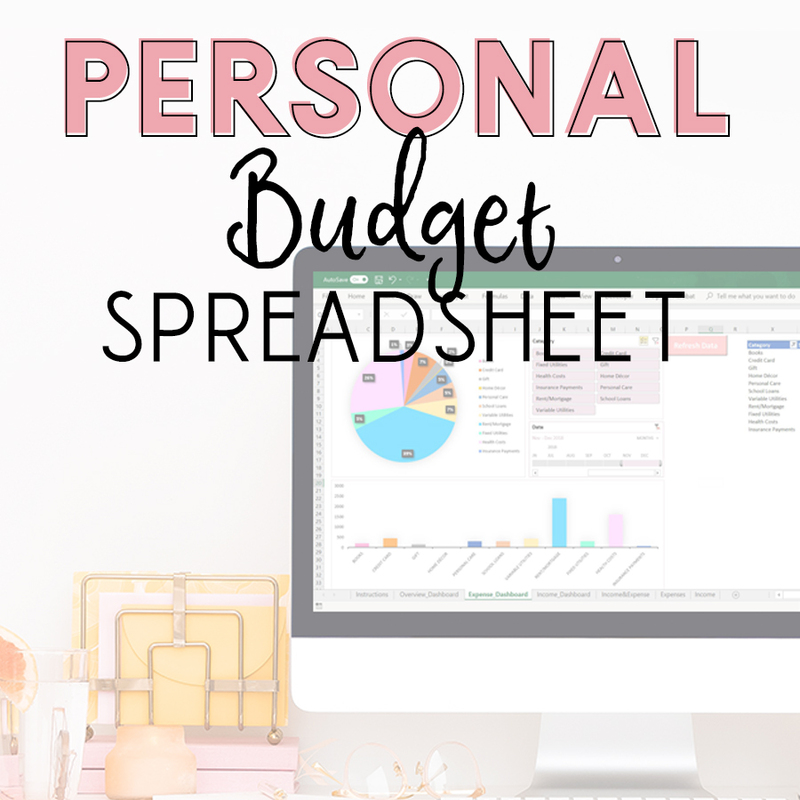 Sam created a personal budget spreadsheet that allows us to keep track of all of our different expenses easily and conveniently. We are able to log all of our personal income and expenses by category. The purpose is to help us visualize exactly where our money is going so we know where to cut back or make adjustments. 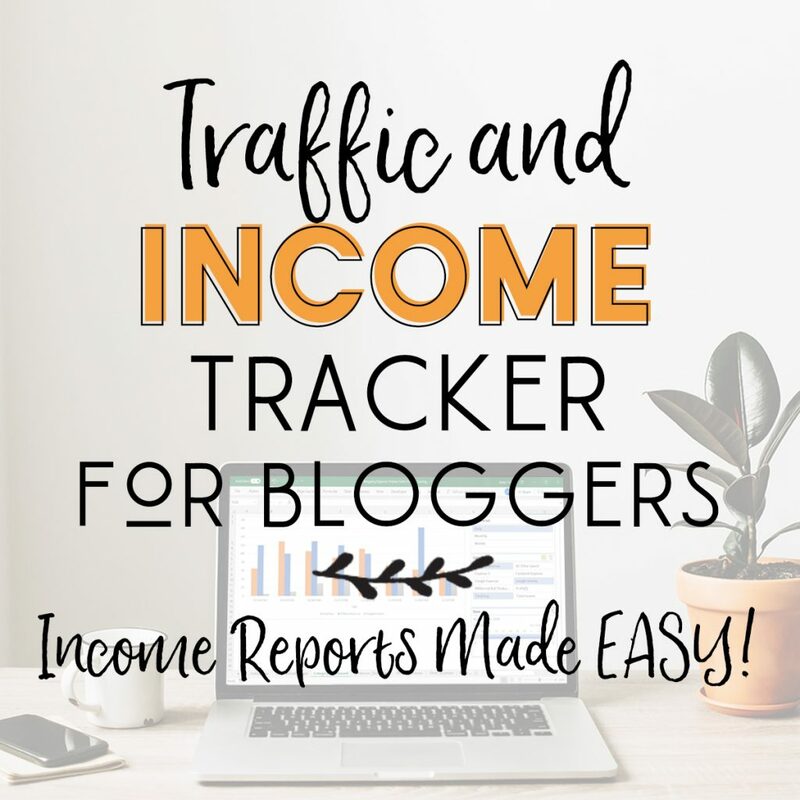 This sheet has been so useful to us that we decided to make it available to our readers as well. If you are interested in keeping yourself on a budget and keeping a careful eye on your finances, feel free to check it out below. Paying the minimum due on your credit card each month may seem like the easiest option, but it will hurt you more than help you. It may feel a bit daunting to watch more of your paycheck go toward your credit card debt than to your checking account but think of it this way: if you continue to pay the minimum, it will cost you way more in the long run. This is all thanks to INTEREST. The larger your balance, the more interest you will be charged throughout the year. If you are paying the minimum due, then you are likely putting no less than half of your payment total toward your actual credit card balance, with the rest going toward that interest. Doesn’t add up, does it? At the end of the day, you really shouldn’t be charging what you can’t afford to pay off *IN FULL* at the end of each billing cycle. I know that in many scenarios, this can be difficult to avoid. But the more you let that balance build up, the harder it will be to pay it down. Ever find yourself saying or thinking, “well I earned it, so it’s OK this time”? I am willing to bet you have. Then you end up saying “this time” multiple times a week. If your bank account is suffering and you’re still treating yourself to things you can’t justify with anything but an “I earned it,” you’re totally guilty of this bad money habit. 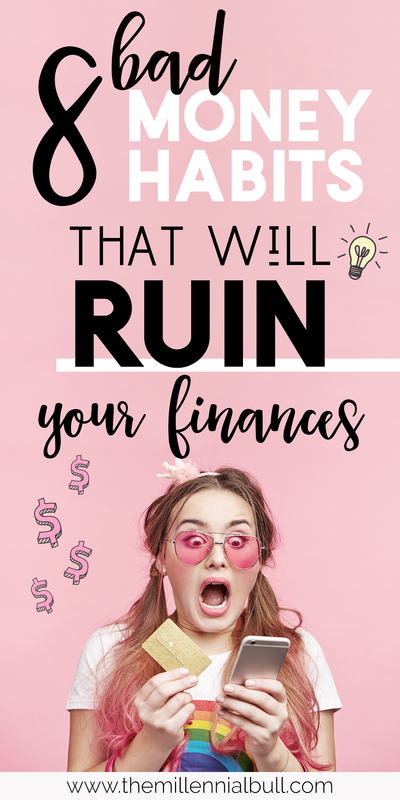 It can be a challenge to adjust our spending habits when money is tight; to not allow ourselves certain luxuries, large or small, especially when we’re the ones covering it and we worked hard for our money, right? I am sure you work very hard for your money – and there really is nothing wrong with treating yourself from time to time, but in moderation and when the time is right. We found ourselves in a bad business deal that landed us in a pile of unexpected debt. This debt forced us to reign in our spending and focus on living very frugally until we could pay it off. We are foodies, we like to go out and have a good time, and there are some elements of our lives where you could say we have expensive taste. We also work very hard, day and night. But despite working very hard, we didn’t “deserve” to go out and spend money in the way that we normally would, on things we couldn’t technically justify. As soon as our financial situation took a turn for the worse, we scaled back. We went from eating out once (sometimes multiple times) a week to once in a very blue moon. In terms of the grocery store, we became particular about the things we would buy, and turned a blind eye to non-essentials. We adopted a very frugal lifestyle. We treated ourselves from time to time, but only when the time was right. It’s no longer considered a “treat” when it’s a regular habit, and if you’re financially strapped, you have to differentiate what you have “earned” and what is simply a poor choice. Why does credit matter? Your credit score helps creditors determine how much they can risk loaning you (on credit) based on your income level, your spending habits and how much and how fast you pay them back. For most, loans are an inevitable part of life. The more solid your credit score and history are, the more you are likely to be given on loan. When you are in the market for a big-ticket item, like a house for example, loan officers will check your credit before determining how much assistance you will be issued. If you have a bad credit score, you’ll pay more interest. If you have a good credit score, creditors will offer you a lower interest rate. In short, your credit should NOT be ignored as it is an indicator to credit card companies of how likely you are to pay off your loans vs missing payments completely. When you miss payments, this is a sure sign of financial trouble to credit card companies. The more payments are missed, the more likely you may be to eventually declare bankruptcy. This is what credit card companies want to avoid. Have you ever heard the saying, “pay yourself first”? That doesn’t mean pay yourself with the treats you “earned,” like we talked about before. It means that you should “pay” your savings account. The last thing you want to do is near retirement and realize that you don’t have a leg to stand on; that you can’t really afford to retire because your savings account is basically non-existent. This doesn’t mean that the majority of your paycheck after bills needs to go to savings. Start with a comfortable sum that you won’t notice missing from your checking account. Then, as you watch those savings grow (and maybe even realize that you don’t need to spend as much as you do), you can increase that number. 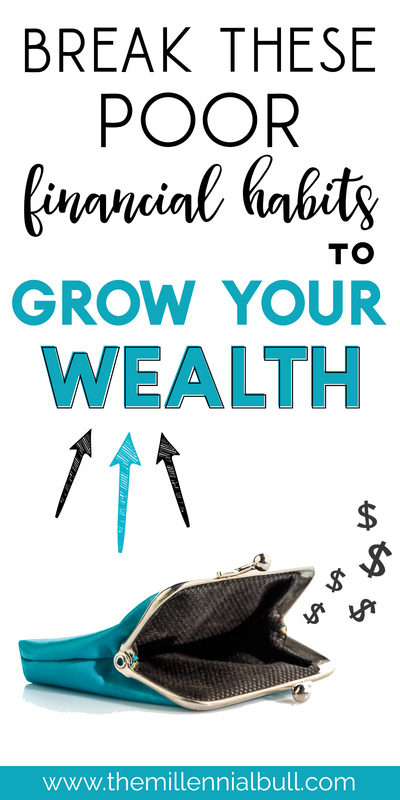 You can even factor your savings into your budget so you know just how much you can afford to be putting away each month, rather than simply putting away what’s left. Putting off your financial goals is a surefire way to never reach them. We are creatures of habit, and sometimes that habit means telling ourselves we will take care of something tomorrow/soon/later/by the end of the week, and then we never do. If you’ve been telling yourself that you will “get to” starting an emergency fund, you will “get to” saving for retirement, you will “get to” tackling that credit card debt… it’s time to actually get to it. You have to do it for you. I am totally guilty of buying things that I use once and forget about for months to come. Whether it was a $150 fitness gadget I SWORE would help me reach my weight-loss goals, or a $6.99/month subscription app that I used once and didn’t like as much as I thought I would (but still wanted to keep unless I changed my mind). Think before you buy, don’t buy before you think. One of my favorite ways to save money on things like subscription apps that I never use is Trim Financial Manager. Trim helps you automate your savings to clean up your unnecessary expenditures. In the last month alone, users have saved over $1,000,000! 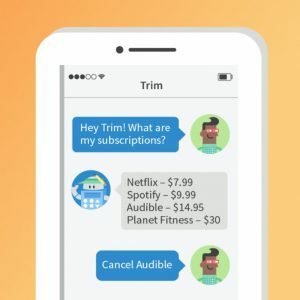 One of the coolest things about Trim is that he will help get you cash back for free by cancelling unwanted subscriptions. 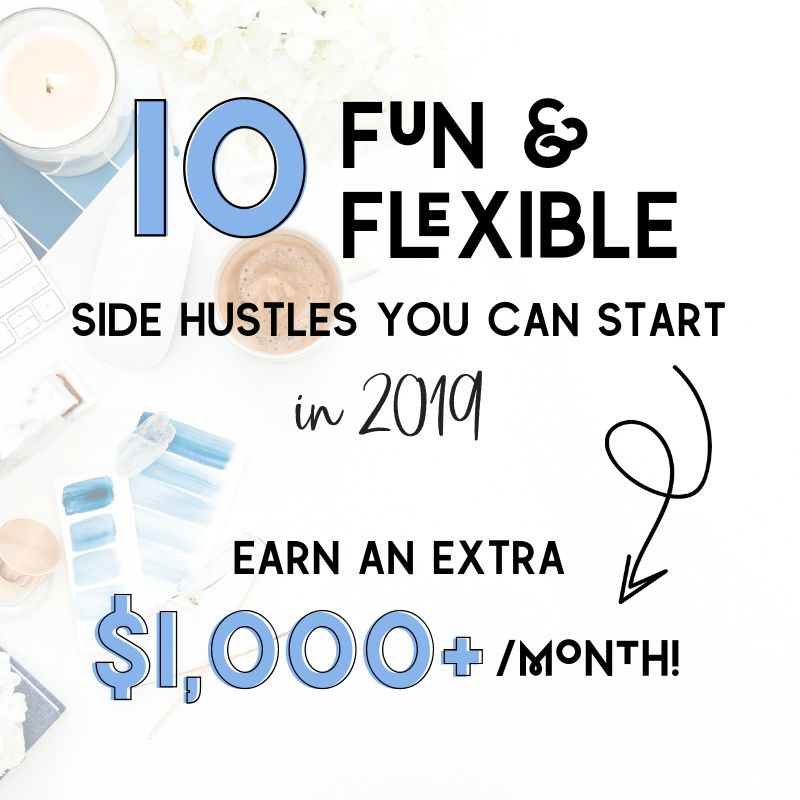 With Trim, I cancelled almost $40/month of subscriptions I no longer use – some of which I completely forgot about or was too lazy to cancel on my own! That’s $480 in savings a year! All I had to do was tell Trim to cancel them for me. Not only did Trim save me that money, but he got one subscription service to refund me a previous month’s charge (without me even asking him to) even though the charge was made weeks prior. How does it work? Trim will analyze your accounts to determine how much you are spending and where you can save more money. He will find recurring subscriptions and take care of cancelling those that you no longer use, negotiate lower prices on your bills (such as cable, internet and mobile) by up to 30%, help you build your savings and much more. Is it safe? Trim is bank-level secure with 256-bit SSL encryption, 2-factor authentication, and read-only access. So, yes. What does it cost? NADA! Try Trim for FREE here! This is quite possibly the worst of all bad money habits, because it encompasses many of the smaller ones. Living beyond your means is the quickest way to fall into debt, the easiest way to ruin your credit score, a surefire way to break your budget, and a definite way to dwindle your savings. The thing about living beyond our means is that we have all done it at some point or another. That’s what credit cards are for right? Paying for things that we can’t afford with cash. However, the problem starts when you rely on that card to cover what you possibly shouldn’t be buying. you count on that little piece of plastic, you’re living beyond your means. your credit card balance is greater than the amount of cash you have readily available, you probably spent beyond your means. you’re swiping that card for things that you can’t afford to pay off in the next month, it’s time to reconsider your spending habits. Don’t spend what you don’t have! What are your bad money habits? Comment below! That’s great! It’s amazing how something as simple as writing down your expenses can make such a big impact on our bottom line! I think sometimes we spend and then forget! Want More Personal Finance Tips? Stay up to date to learn how to manage your money better, get out of debt, save more money, MAKE more money, and live in financial freedom!